Logins this hour: 4405 ? 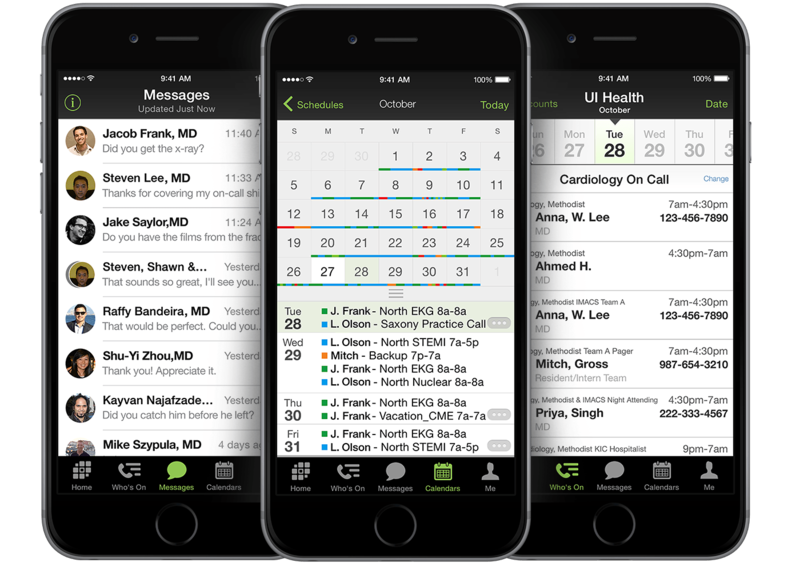 Imagine if you enjoyed scheduling .. the schedule populated your facility's on-call list automatically ... and page operators, colleagues and support staff always reached the right provider? AMiON ("Am I on") lends a splash of color to scheduling. It makes scheduling fun! Templates, patterns, staffing rules, and an autoscheduler make quick work of building and fine-tuning schedules. A few clicks post schedules at Amion.com where staff can view assignments, send pages and secure messages, sync work schedules to personal calendars, submit special requests, and swap shifts online. Switchboard staff can make last-minute changes to keep schedules up-to-date! Try AMiON with our free trial! AMiON for Enterprises manages on-call schedules for entire hospitals. Each department builds and maintains its schedule. There's no paper and no duplication of effort - only accurate, accessible schedules!